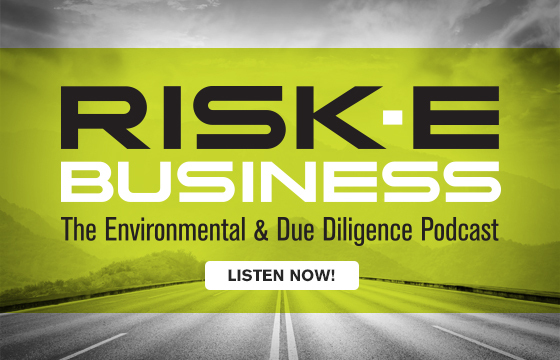 ERIS’ RISK-E BUSINESS Podcast will delve into a variety of current ‘hot’ topics and issues related to environmental risk and property due diligence. The podcast can be consumed easily and anywhere in episodes of 15 minutes in length or less – perfect for ERIS’ busy industry client professionals. Guest Julie Kilgore dives deeper with us into potential ASTM revisions. Find out what big changes for users and property due diligence professionals could be underway. Guest Julie Kilgore outlines potential ASTM revisions and explains why they could mean big changes for users and environmental professionals.